The problem with the Bavli's position that killing lice on Shabbos is permitted because they do not reproduce sexually is well known. However, according to the proposed girsa of the Sha'arei Toras Eretz Yisroel to Yerushalmi Shabbos 8a, who substitutes eilim (rams) for chilazon (murex) - because there were no murex in the Midbar to kill, so netilas neshamah is derived from the rams killed for dye in Meleches HaMishkan - the reason one may kill lice on Shabbos is actually because they have no bones or sinews, and therefore cannot exist for twelve months, and therefore are not strictly speaking ''alive." חידוש גדול! In the Bavli, Rashi in a couple of places says that beisa k'man d'malia dami is because a house is dark and its air is thick. The Yerushalmi Shabbos 4a clearly disagrees, as its sevara - which has no parallel in the Bavli - is that avir mechitzos k'mamasha. Which would even apply to an unroofed area. 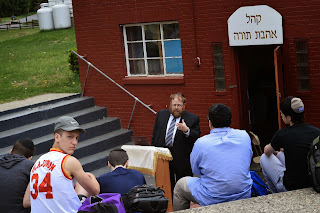 IY"H I will be giving a shiur on Shavuos night on the topics of Shavuos and Mattan Torah at our house, 3 Zabriskie Terrace, at 12:15 am. 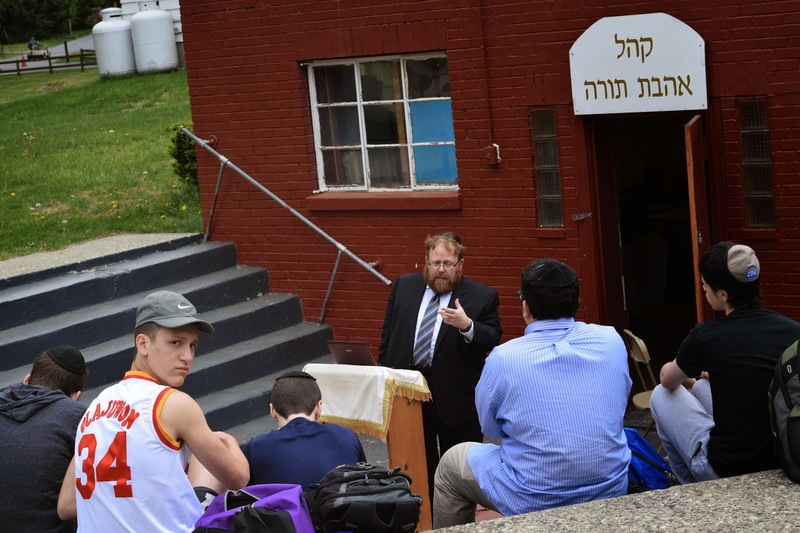 I hope to make the shiur very interactive. You're invited! Please contact me for more details. Good Shabbos, Good Yom Tov! Shiur at the MTA field day at Camp Monroe, 24 Iyar 5775. 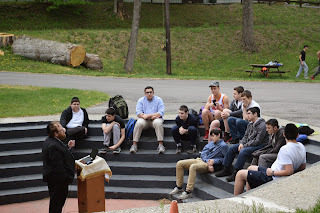 Since the shiur took place outdoors, the video is poor quality, but the audio is fine.